War, a living hell as many call it but this living hell can provide enough thoughts to turn into a full-fledged movie. And here after quite a hectic look through over the decades we bring to you 10 Best War Movies of all time. So, call your friends over, arrange a screen cause you have got some of the best movies out there to watch on a thrilling weekend night. 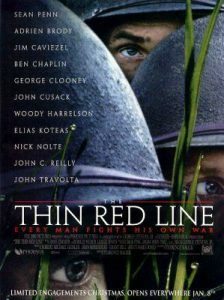 A movie that started being a complete mayhem, now tops the list of one of the best War movies. Coppola perfectly highlights the ironies that accompanied the Vietnam War in particular and western imperialism in general. The film has revealed the pain and atrocities performed by US in the name of democracy and freedom. 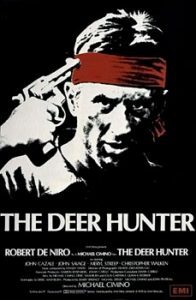 This thought provoking movie is a journey of the Army’s best soldiers Kurtz, who penetrated the reality of war to such a depth where he couldn’t return back to his practicality without madness and despair, and is to be killed by Capt Willard. 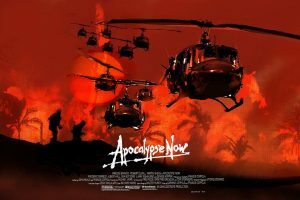 A movie filled with suspense, trauma and pain, Apocalypse Now will make your binge watch a memorable one. 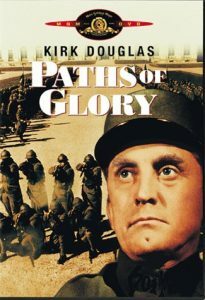 Kirk Douglas, has got all the charms to make you fall for him, and in this iconic work on anti-war by Stanley Kubrick, he won’t fail to make you fall for him all over again. It is one of the most powerful anti-war films ever made. A vehement Kirk goes head-to-head with the army’s ruthless top brass when his men are accused of cowardice after being unable to carry out an impossible mission. It is a perfect mix of haunting photographed dissection of the military machine farce and capacity of inhumane acts. With exemplary direction skills of Kubrick, the movie portrays tense trench warfare sequences to courtroom climax and its ravaging final scene with utmost perfection. So it’s time for you to watch this extraordinary work on anti-war theme. Terrence made a comeback after 20 years with this Big- Budget, spectacular visionary adaptation of James Jones’s 1962 novel about the World War II battle for Guadalcanal. It is a very thought provoking and offers an extreme philosophical outlook on man, nature and violence. It’s an abstract spectacle of man doing terrible things to other human being within the assorted basilica of nature. Featuring a cast of contemporary actors- Sean Penn, Jim Caviezel, Nick Nolte, Elias Koteas, and Woody Harrelson, this sublime and deeply moving work will leave you stunned for quite a while. Another Kubrick’s classic hits, this movie started from the seeds of a holocaust movie that Kubrick wanted to make. A harrowing, characteristically eccentric film based on Hasford’s novel The Short Timers about Vietnam would fascinate the viewers. 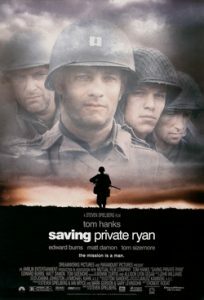 An Academy Award nomination for Best Adapted film, the movie focuses on the platoon of US marines through their training and experience during the time. It depicts the scenario of a human or a soldier living on the battle field to turn into a man killing machine. 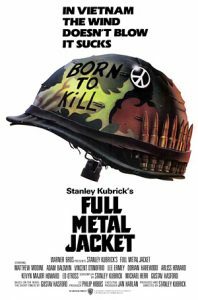 ‘Born to Kill’ an inscription on Mathew Modine’s helmet which expresses the Jungian philosophy of duality of man will surely invoke some thoughts and would give a lot of matter to ponder upon. An elliptical and full of subtle inner rhymes, this excellent movie with a psychological bent will make you grab your seat and popcorns. 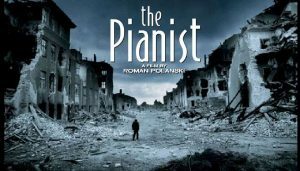 After Schindler’s List by Roman Polaski, who himself was a survivor of Nazi occupied Poland, created this masterpiece on the real life story of Wladyslaw Szpilman, a brilliant Polish pianist (played by Adrien Brody), a Jew, escapes deportation. The movie brings forth the truth of miserable life (not even worth calling life) the Jews had to live during the holocaust. A movie filled with pain and suspense will leave you with mixed feelings, the fighting spirit portrayed and the sufferings gone through stun the audience. The movie has lot imagery and is food for thought for deep intellects. Polanski has mastered in portraying the people as real as they can be, the will to survive can take a human to any extent. A 2002 Cannes Film Festival best-picture winner, Polanski has simply brings history to life. Steven Spielberg in yet another flick on World War II has presented a masterpiece of depicting inhumanity of war. Tom Hanks playing the role of Capt Miller is set out to find Ryan, puts forth the horror of armed combat in the bluntest way possible. 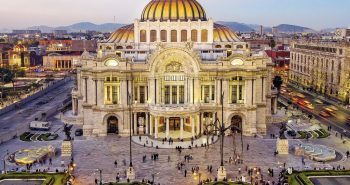 It is a vivid, realistic and bloody portrait of armed combat, which makes it a very powerful experience and would make anyone weep during the course of it. But more than the weeping it gives you matter to think, it inflicts you with ideas. 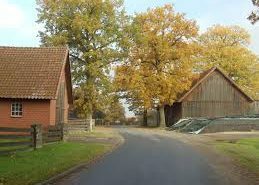 Even after the experience and trauma fades, the implications would not end but would rather grow. 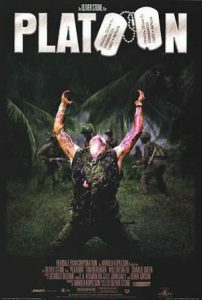 A 1986 American war film by Oliver Stone and starring Tom Bergner and Charlie Sheen is not fantasy or some sort of conviction or metaphor it is a representation of Oliver’s feelings and experience at the time when he himself faced the war zone. It is the first film of a trilogy of Vietnam War films directed by Stone, followed by Born on the fourth of July and Heaven and Earth. It is basically narrated by a young soldier’s perspective, of how every situation is a 50-50 chance of survival or death. This movie provides you with an in depth knowledge of what it was to Vietnam, what happened there and why it happened. A brilliant masterpiece by Stone, one doesn’t watch it for fun but as a respect to the work. 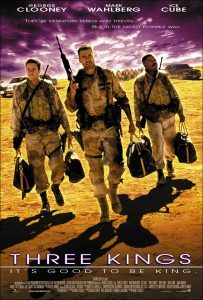 And when you are done with watching traumatizing movies that might leave you in tears or a great impression, there comes Three Kings a satirical black comedy war film directed by David. O Russell from a story by John Ridley. It casts George Clooney, Mark Wahlberg, Ice Cube, and Spike Jonze as four U.S. soldiers on a gold heist that takes place during the 1991 Iraq uprising against Saddam Hussein following the end of the Persian Gulf war. This courageous hybrid of creative style of war narrative is a full packed entertainment. Russell perfectly scoffs at the war and after watching this insane piece of political stance on war will definitely make one call it as ‘Weird Masterpiece’. It is not like the usual war movies, and that’s what makes it stand out from the rest of the lot. Another Vietnam War piece, it stands to be a more emotionally draining production by Michael Cinimo. At no point will you feel the intensity of pain, brutality graph going down. It is one of the most powerful movies ever made, and masters in drawing a vivid imagery of its characters and the effects of the war in the lives of the people. With moments of greatness overlong, it’s time for you to grab your popcorns and watch this crazily ambitious and audacious motion picture. 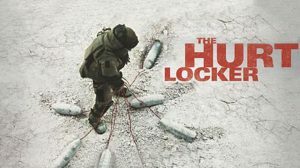 Six Academy Award Winner, this production by Kathryn Bigelow has meticulously represented the undaunted realism related to Iraq War, that we all have been waiting for. It begins with the statement “War is a drug”, that would rush your thought process and will make you ponder upon everything represented in the movie. Rather than calling it a great film, it’s better to state it as an Intelligent Movie, it will twist your guts and nerves and would keep you at the edge of your seats. A low budget but highly acclaimed movie is bound to give you an amazing experience with its suspense and thrill over the time.